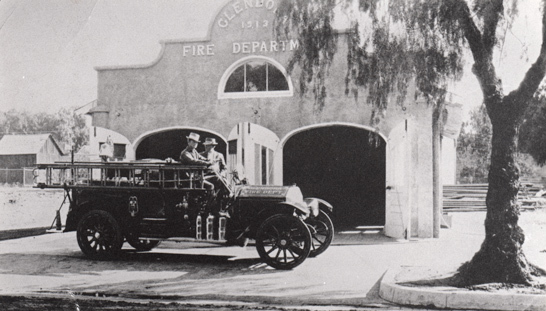 The Museum when the 1915 American-La France fire engine was Glendora's state of the art fire fighting equipment. Note the pile of material behind the building. Driver is Fire Chief Earl Midkiff. His son Claude started with the Department in 1919 and was Glendora's Fire Chief from 1932 to 1958.